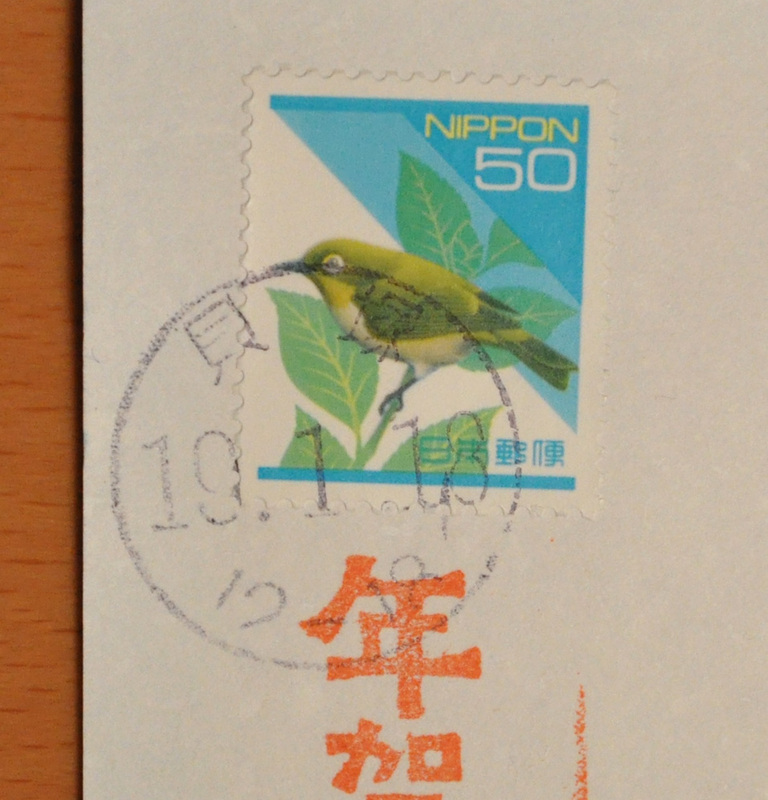 A definitive stamp for postcards in Japan is 50 yen, a mandarin duck. 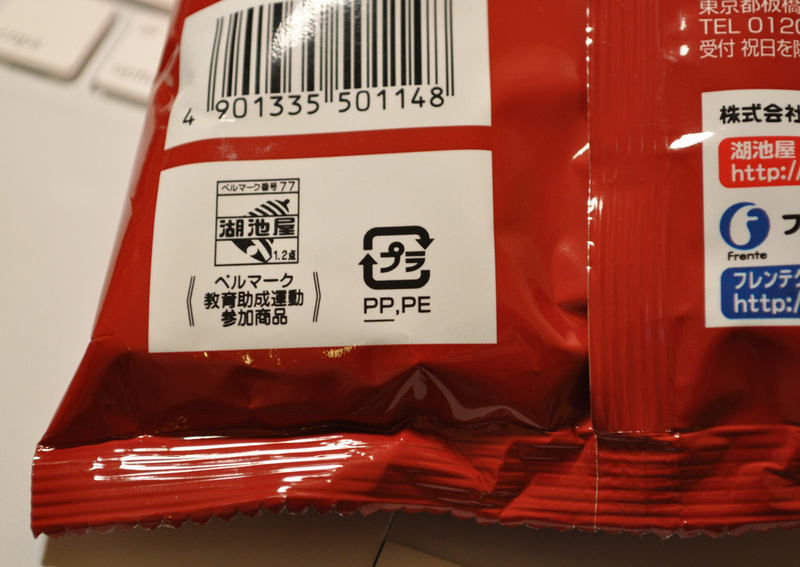 This stamp has interesting perforation. Center one is not circle, but ellipse. This perforation comes in just these days(from about January, 2010), so you can see both normal perforation and ellipse perforation now. 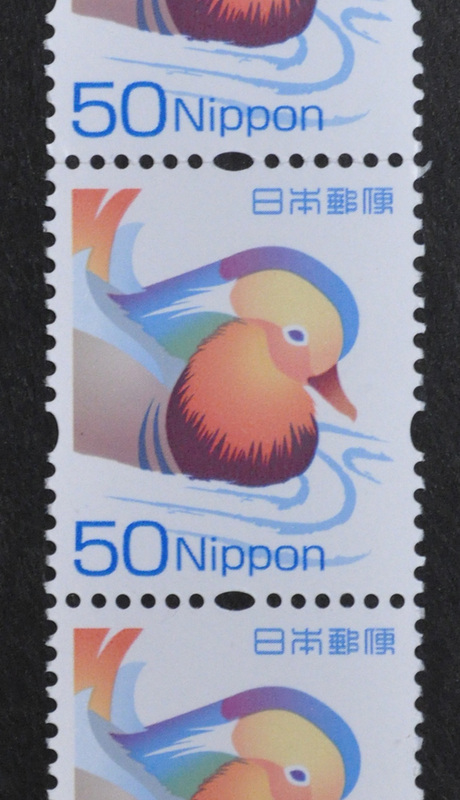 Stamps of Mandarin duck appeared in 2007. Previous definitive stamps(50 yen) was Mejiro. In Japanese, メジロ(Mejiro) means “the white eye”. Yes, their eyes have white fringe. I prefer this Mejiro rather than current mandarin duck. 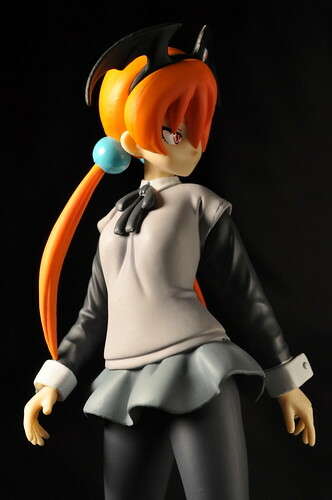 This Mejiro is pretty simple and fancy, isn’t it? 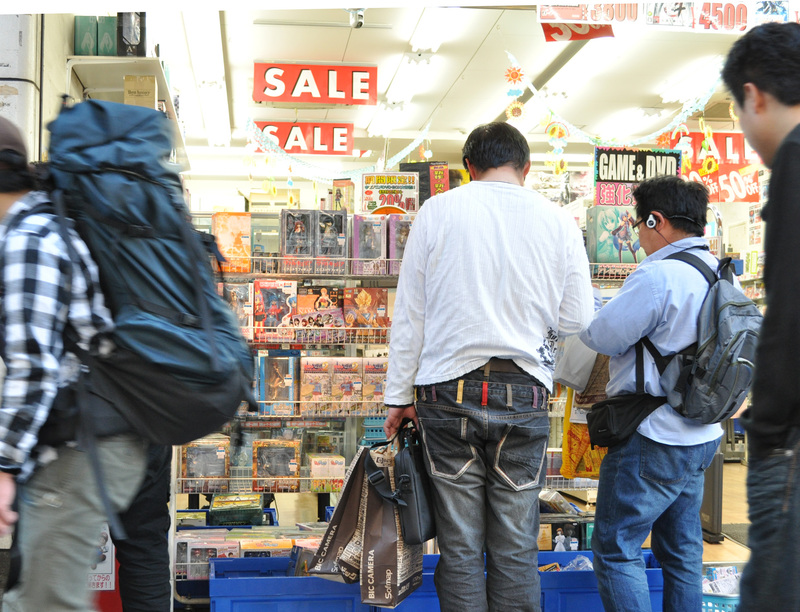 When you come to Japan, you may encounter serious problem — separating garbage. 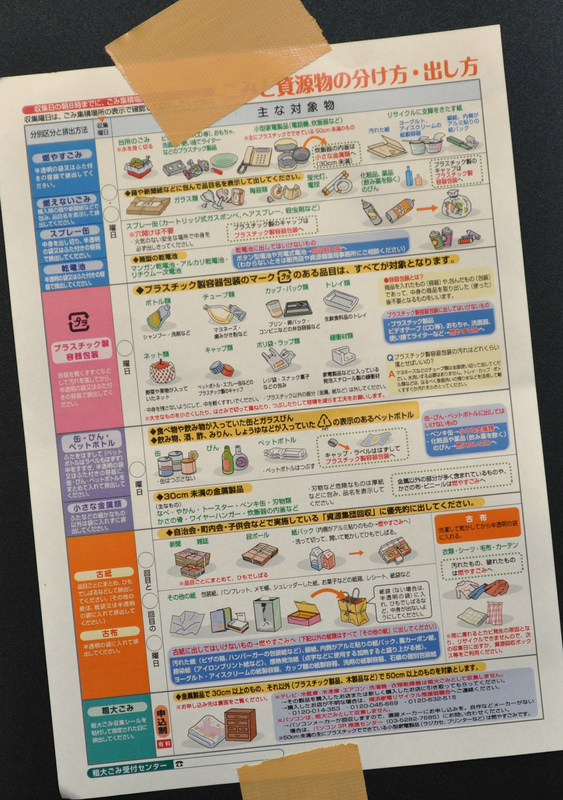 This document shows how to separate your garbage in Yokohama-City, Kanagawa Prefecture. 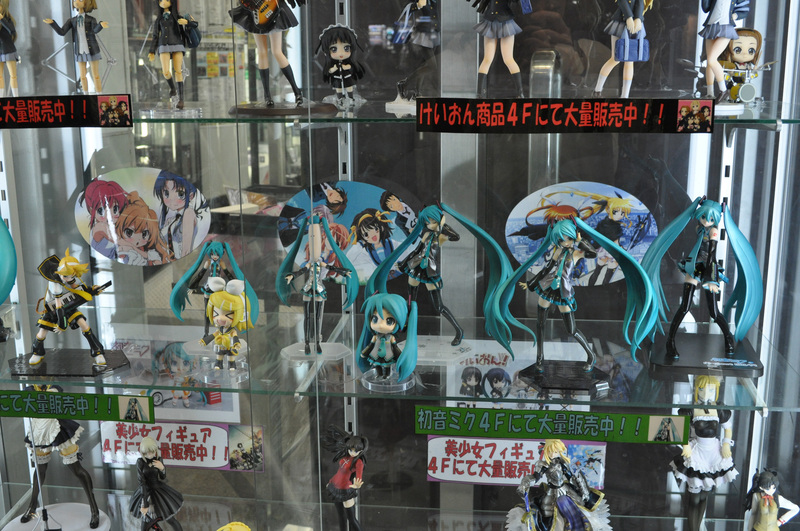 Japan, what a diligent country!